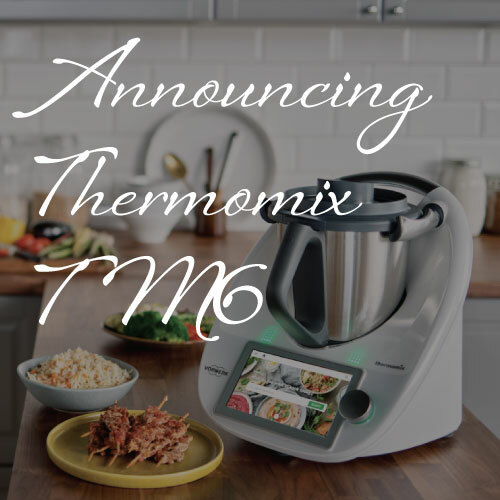 Following the big surprise announcement last week about the Thermomix TM6, we as Advisors are equally excited, surprised and shocked. 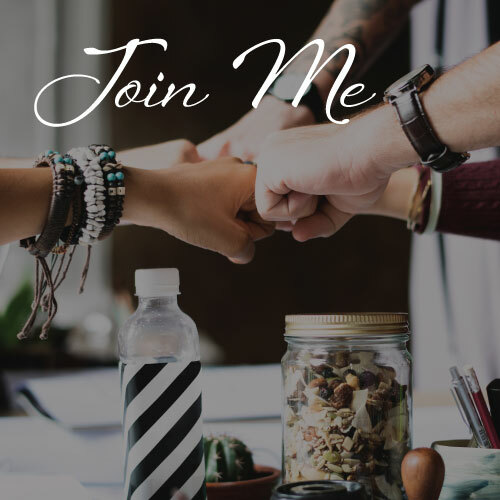 I was at a Team Leader Leadership conference having training on the usual look after your team, why getting together is important, let’s learn skills (that I already have…). It was a pretty routine meet-up; good food, great catching up with colleagues around the UK and some official stuff thrown in. When we reached dinner time, we were all tired and hungry wanting to wind down and relax. My colleagues and I had no idea, that we were about to experience the global launch of the Thermomix TM6. So when it happened, we were in shock. The Thermomix TM5 is the 5th generation of Thermomix and it was launched on 5th September 2014, 10 years after the Thermomix TM31 which was launched in 2004. We were all expecting a new model, of course, we were, but circa 2024; not on 8th March 2019, just four and a half years later. Since I was introduced to Thermomix 10 years ago, is there a ’next model is coming’ has been a constant question, as it has been for the past 10, 20, 30 or 40 years they have been produced. Why? It’s true, that’s why! 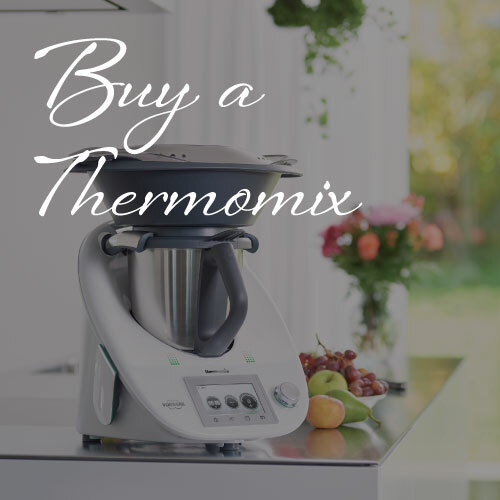 Thermomix is an innovative company, from the day a model is released, they are constantly working on tweaks, adjustments, and new functions. Fact. They often make these along the way too, so a TM ordered in January may be ever so slightly different to the one you order in February. Fact. That is what makes Thermomix so good and stands miles apart from copycats and other appliances in the first place! Fact. So, back to the dilemma at hand, what to do? To upgrade or not? For those who have been following my journey, I was a TM31 customer first. I thought it was the best thing since sliced bread which is why I jumped on the bandwagon and became an Advisor. I couldn’t understand how Vorwerk could ever improve it. Until they did with the Thermomix TM5. Had I not been an Advisor, an upgrade wouldn’t have been necessary as I was perfectly happy with my current model. In fact, as I then had two Thermomix TM31s and TM5, for the first 6 months, my TM5 was used as a demonstration model and my TM31 on my kitchen counter. It was what came first and what I was most comfortable with. Over time that changed, the more I used my new Thermomix TM5, the more I fell in love with its improvements. I expect the same will happen with Thermomix TM6, when I do receive it in June 2019. The only difference now is I have 3 TM5s, 1 TM31 and will have a TM6 too. I probably need to give some away before my husband divorces me for having too many Thermomixes. Am I cross or upset about the new model? Shocked, initially (of course) but not cross. I’ve had some time to think about it. This is much like when Apple launched the iPhone X. Was this a new snazzier model with more bells and whistles? Yes. Did it make the 6/7/8 any less good? No! The X had more bells and whistles and a price point that came with that. I have an iPhone 8, only because my contract was up and I switched to a new provider. It is still great, has a brilliant camera and does all the things I need. New models and technology improvements happen all the time. It’s the way of the world and at some point, I will upgrade. I am still happy that I bought my iPhone 8 and got all that use out of the clever camera modes etc. before the new one was launched. Has the Thermomix benefitted me? Of course, it has. I can cook healthy, nutritious meals for my children and family, in super quick time. I use it every single day. That is not going to change, no matter how many new models come out over its lifetime, it has been a game changer in our home. It not only met my needs, but it also surpassed my expectations and I, like almost every owner I know, love it more and more the more we use it. We realise it does far more than we ever thought and the more you learn about it the more you integrate it into your everyday cooking! You can see from the previous pages that I’ve summarised the new functions and compared the models. The new Thermomix TM6 is great and does have improved and new modes which are exciting. However, many of the functions are the same as the TM5. Do I really need it? No. 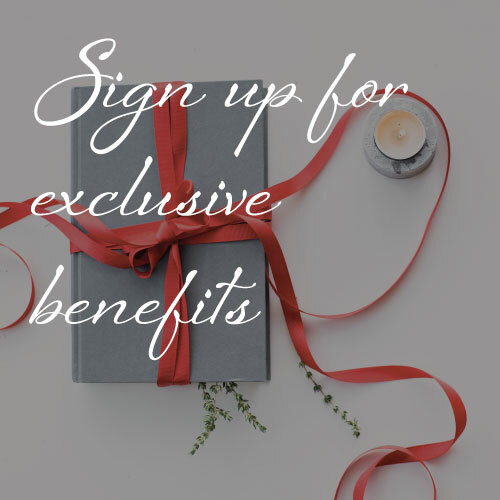 However, as an Advisor & Team Leader in the UK, I am required to have the latest model we are providing to customers to demonstrate to people and continue being able to share my passion about what Thermomix can do for everyone, young and old, families big and small. I’m currently in an incentive to ‘earn’ one which is a wonderful opportunity. 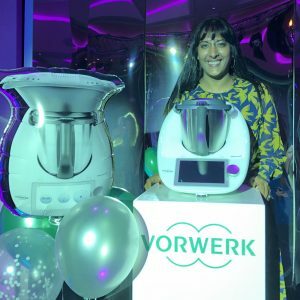 For customers who bought recently, Vorwerk UK have a really fair plan for customers. We are being advised to ask our customer base to call in and speak to them directly. So far the feedback has been really positive which I’m pleased about. And for those who haven’t jumped on the Thermomix bandwagon, you are in the unique position to have a choice. We have never had two options available. 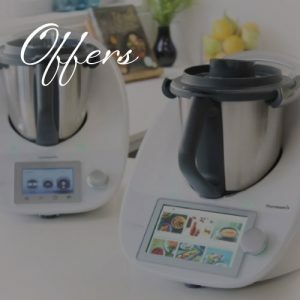 For the next 3 months, you can either choose to buy the current Thermomix TM5 at a discount of £100 at £949 for the Connected version or pre-order the new Thermomix at £1099. I feel only die-hard fans will take the pre-order option as they have had TM21, TM31, and TM5 before and just want the new one. For anyone new to Thermomix TM5, the Thermomix TM5 is still our hero. Happy Thermomixing, whatever model you have to play with!